BULLDOGS #3 celebrates the UK tradition of cottaging with friendly strangers! A hulking East London chav giving his bulldog his nightly walkies keeps bumping into a gorgeous, charming British police officer— and every time they meet, they go to the convenient park across the street to try something new with each other. What will those two try next…? 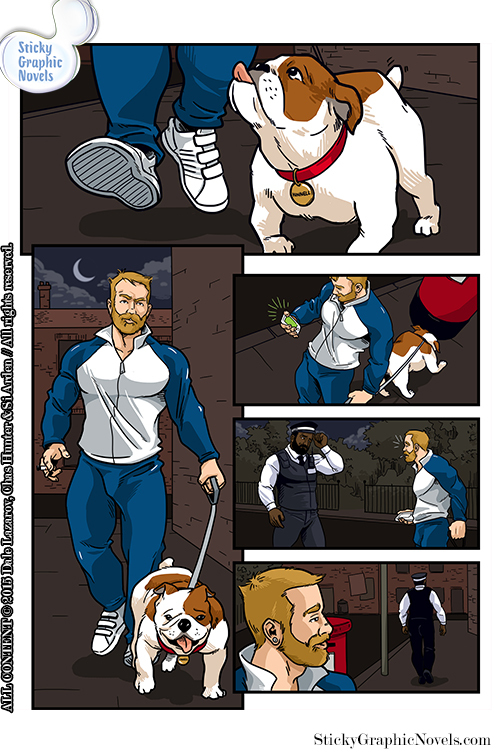 BULLDOGS is a three-issue series of gay comics that celebrate what we all love about manly men from the United Kingdom.